Once you are in the payday loan debt trap, it’s difficult to get out. 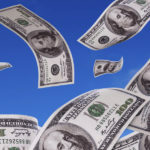 It’s likely that your bank is being auto drafted by your lender, which is probably generating expensive Non-Sufficient Fund (NSF) fees, you may be taking out more payday loans to cover your bills, and your original loan amount has skyrocketed. 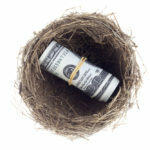 The intense stress that has resulted from your financial situation is undoubtedly affecting your personal and family life, and ability to manage the rest of the balls you juggle every day. You know the only way to stop the money hemorrhage is to stop taking out more loans, but that might seem impossible, and the thought of creating a budget for yourself, overwhelming. While it may feel more “noble” or even “cheaper” to just dig yourself out on your own, in the long run, it will be less expensive and better for your sanity to bring in an expert. Loan consolidation companies do just this – they help you establish a budget, combine your various loan payments into a reasonable amount while negotiating with your lenders so that you can have some relief. Ultimately, their job is to reduce your anxiety and put you back in control of your finances. At Real PDL Help, the loan consolidation process starts with an evaluation of your current income and debts, to create a workable budget, one that you understand and can stick to. The experts at Real PDL Help have been in this industry for decades, and know the in’s, out’s and tactics that lenders may use when working with pay day loan borrowers. While loan consolidation companies like Real PDL Help are truly in the business of helping others, there are some unsavory options in the marketplace. To ensure you are working with a debt consolidation company that is reputable, do your research. Check their ratings with the Better Business Bureau, make sure that any complaints are legitimate and/or have been resolved, read their online reviews and see how long they have been in business. Be wary of any company that tries to offer options other than debt consolidation, is aggressive, or makes you feel uncomfortable in any way. Trust your gut. Do not work with any company that requires an upfront payment. As per the Federal Trade Commission, it is illegal for debt relieve companies to ask for an “advance fee,” and can only charge once there has been a successful settlement, and the borrower has made a payment towards their revised payment plan. Do not work with any company that says they can completely eliminate all your debt. 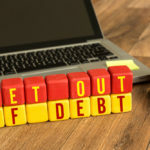 Having your entire debt eliminated is nearly impossible, except in extreme cases of death or disability, unless you declare bankruptcy, which is a process you would need to discuss with an expert. Companies that claim they can make it “all go away” are operating on false promises. Be wary of non-profits offering to consolidate your loans. The FTC has exposed so-called non-profits that were actually funneling funds to a for-profit company. Understandably, non-suspecting victims are more willing to trust a non-profit, so do your research to make sure they are legit. Q) Is there an upfront fee? A) The answer should be a definitive no. Q) What is their process from start to finish? A) If they can explain it, that means they have a well-founded and legal system to get your financial footing back. Q) Are their services customized to each client? A) While systems are important, you need to know that you are not being put in a once-size-fits-all plan. Your advisor should be working with you as an individual with a customized plan based on your specific budget and debt. Q) What will they need to understand your budget? A) You should not have to offer up bank account or social security numbers but understanding monthly income and expenses to help you form a plan can help your long term financial goals. Q) Will they contact lenders on your behalf? A) Do they intercede; will they be able to stop the incessant calls and negotiate an effective solution with your lender. Q) How will they get payday lenders out of your bank accounts? A) Make sure you have appropriate expectations of their deliverables and the timeline. Q) How well will they educate you on your finances? A) This is key. You need assurance that you will be able to manage your budget and not find yourself in a similar situation down the road. Q) How, when and how much do they get paid? A) Again, there should never be an upfront fee, but understand the fine print so you are not surprised by any costs. 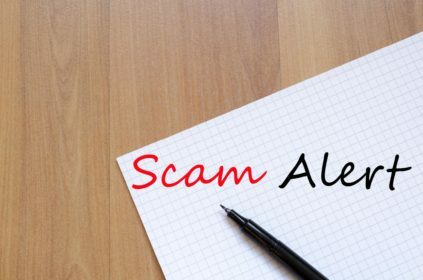 Should you find yourself working with a predatory loan consolidation company, report the fraud immediately with the Federal Trade Commission (FTC). You should also file notices with the fraud departments at the three credit bureaus, Experian, TransUnion and Equifax, as well as contact your bank. 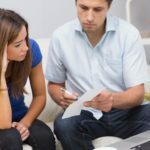 Ultimately, there are many reputable loan consolidation companies who can and will help you get out of the payday loan debt spiral, create peace of mind so that you can move forward in your life and educate you on how to take control of your finances.